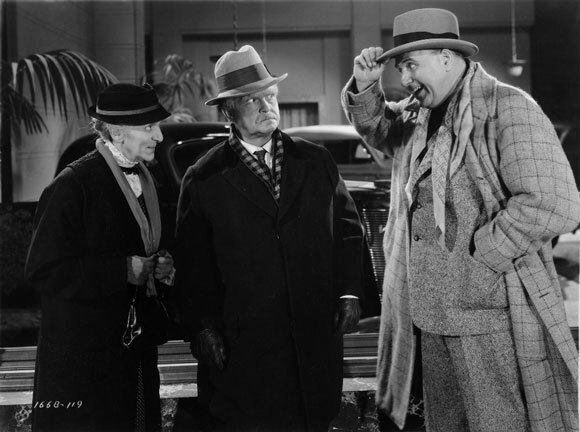 Make Way for Tomorrow (1937): McCarey wins Oscar ?for the wrong picture? 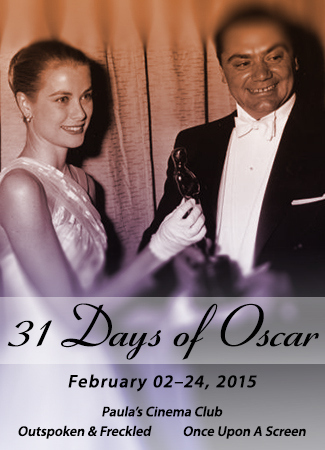 The 10th Academy Awards Banquet was almost over, with only the two top awards left to present. Everybody was anxious to hear who had won Best Director. 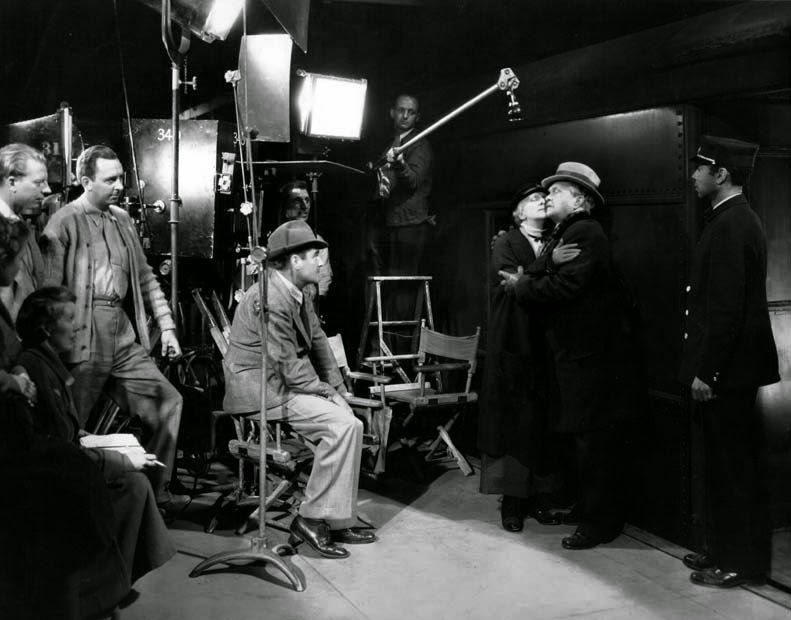 The nominees were among the era?s most formidable directors: William Wellman, Gregory La Cava, Sidney Franklin, William Dieterle, and Leo McCarey. ?And the Oscar goes to?? ?McCarey. Amid the warm applause of his coworkers and friends he made his way to the podium, took his Oscar, and turned to the assemblage. ?I want to thank the Academy for this wonderful award?. But you gave it to me for the wrong picture.? This is the only time in the history of the Academy Awards that a winner has uttered such an acceptance speech. McCarey had won for his screwball comedy The Awful Truth, the year?s highest grossing picture, enormously popular with both critics and audiences. This is the movie that gave Cary Grant his screen persona, and after five years in Hollywood made him, finally and forever, a star of the first magnitude. So what did McCarey mean? He was referring to his other 1937 release,?Make Way for Tomorrow,?of which Orson Welles famously said ?That?s the saddest movie ever made. It would make a stone cry.? McCarey said of MWFT that ?if I really have talent, this is where it appears.? I know what he means. It gets me every time. The Awful Truth?garnered six Oscar nominations. ?Make Way for Tomorrow? Crickets? Why did the Academy stiff MWFT? Perhaps for the same reason audiences stayed away in droves. By 1937 audiences had endured years of the Depression, and the social realism of some Pre-Code movies had fallen out of favor. People knew how bad things were; they weren?t going to the movies to be reminded. Beautifully crafted escapism was the thing. Make Way for Tomorrow?is a story about a typical modern family, not very close physically or emotionally, who find themselves in a crisis when their elderly parents, Lucy and Bark, lose their house. They announce this to their four grown children at a family meeting in the old house, and after a moment of stunned silence son George (the indispensable Thomas Mitchell, impeccable as always and extremely touching) says he?s sure they can find a solution?how long do they have? A few days, Bark stammers sheepishly. The kids panic. Lucy says that they hadn?t wanted to bother them, that she and Bark kept hoping he would find a job and then they?d be able to stay in the house. The upshot is that they have presented their kids, none of whom is doing all that well, with a gigantic problem that has to be dealt with right away. The kids decide that Lucy will stay with George and his wife and daughter in New York City while Bark will visit daughter Cora and her unemployed husband in their little house upstate?just until they come up with a permanent solution. Only there is no permanent solution, not one that reunites Back and Lucy, who are uprooted not just from their house but their town, their routines, and most painfully, from each other. Bark sleeps on Cora?s couch and dreams of finding a job so he and Lucy can be together. His only pleasure is hanging out with his friend Max, a sympathetic elderly Jewish shopkeeper. At George?s house, Lucy generally gets underfoot trying to help out (needing to feel useful and needed). She complains in a passive-aggressive way about just about everything, and worries about Bark and the future. She shares her teenage granddaughter Rhoda?s room, and Rhoda stops bringing her friends home and takes up with a married man. Oy, I hear you moan. What in the name of the Wide, Wide World of Sports would make me want to see this piece of buzzkill? Make Way for Tomorrow?is a great film but also a good one, which is to say that its greatness doesn?t get in the way of its pleasures. Those pleasures are found in moments of real comedy (McCarey was the fellow who teamed Laurel and Hardy, and he also worked with everyone from Eddie Cantor to Mae West to W.C. Fields to the Marx Bros., directing?Duck Soup,?now considered perhaps their greatest film) and in truly exceptional performances by the whole cast (except Barbara Read, who plays Rhoda with conspicuously less depth than any other character), especially by Victor Moore as Bark and Beulah Bondi as Lucy. Also, McCarey?s method of directing, which drove actors crazy until they saw how good he made them look, relied very much on improvisation. McCarey was one of those guys who got into pictures in the silent era, when improvisation was not uncommon on movie sets. It gives the performances a freshness and immediacy that is often lost with scripted material. 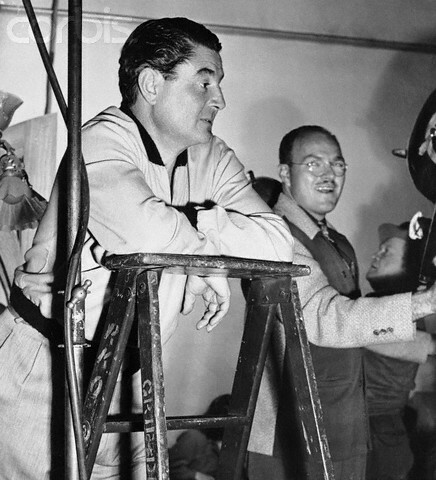 McCarey kept a piano on-set, and when he needed an idea he would go and play until he found one. He also played for the cast to set?the mood for the next scene. This is McCarey?s most personal film. He made it just after losing his beloved father, and he committed himself to the fullest realization of the story of an elderly couple whose diffuse family lack the resources to give them a dignified, comfortable old age. We expect certain things in Hollywood movies. Most have good guys and bad guys; MWFT does not. Every character is doing the best they can. Their best is not all that great, but McCarey has compassion for them. 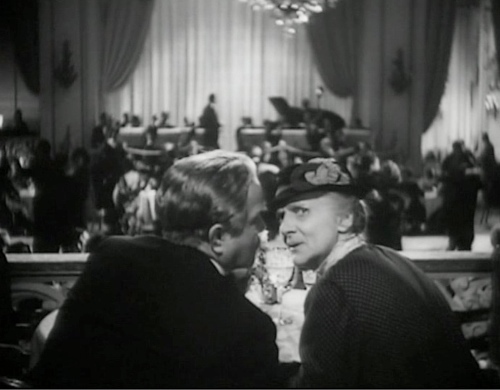 Jean Renoir famously said that McCarey understood people better than anyone in Hollywood. The children may not be sympathetic but McCarey understands their problems and behavior even though he doesn?t condone it. For example, Fay Bainter as George?s wife: She?wants to do right by Lucy but feel forced to choose between Lucy?and Rhoda, her daughter. If keeping Lucy means losing Rhoda, Lucy will have to go. It sounds ignoble, but who can blame her? Lucy is self-conscious about kissing Bark in public? 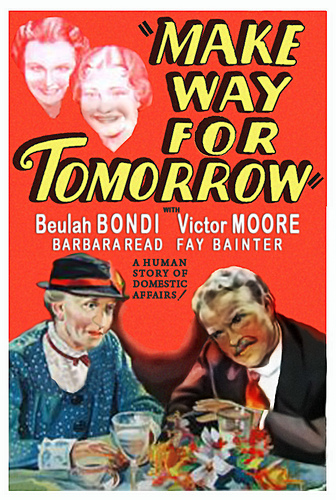 Make Way for Tomorrow?is the real deal, a movie so generous in its compassion that it avoids the easy out of a happy ending (though Paramount chief Adolph Zukor reportedly visited the set on several occasions, pressuring McCarey to cheer things up; McCarey stuck to his guns). Robin Wood writes of ?the emergency exit? ?the reflexive mechanism by which the complex issues raised in a movie are ?resolved? one-two-three, and all those messy issues have been shoved back into their boxes. 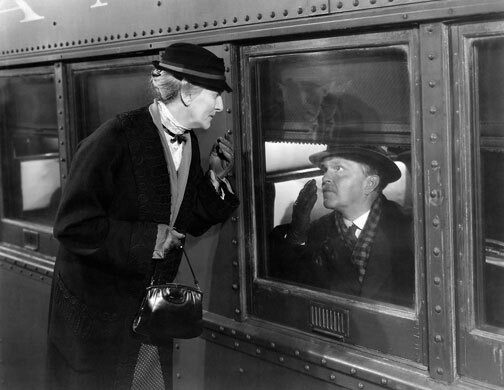 McCarey stays on the train till the end, but while the narrative never jumps the tracks it does open onto a vista that neither we nor Bark and Lucy expect. I love movies that end up far from where they started, but that are structured solidly enough that I can follow the map?I know how we got there. ?Make Way for Tomorrow?is justly best remembered for its final sequence, in which everything we know about Lucy and Bark and their kids, how everybody has punted and even our pity for the couple doesn?t drown our understanding that they have unwittingly contributed to their situation, falls away in a romantic interval that is the opposite of an emergency exit. In another deft transformation McCarey makes New York, the toughest of towns, into a city of kind strangers who seem to conspire to shelter and nurture Bark and Lucy in their recollections of their honeymoon there some 50 years ago, and in their realization that all those years have not touched them, not really?that though the many days and years may have muddied their vision, when all that is stripped away they still see each other as they did in 1887 as a young couple from the country spending a romantic week together. Bark bids farewell to his wife of 50 years, ?Miss Breckenridge? Bark is about to take the train to another daughter in California, leaving behind Lucy, who (unknown to him) is moving into the Idylwild Home for Women. 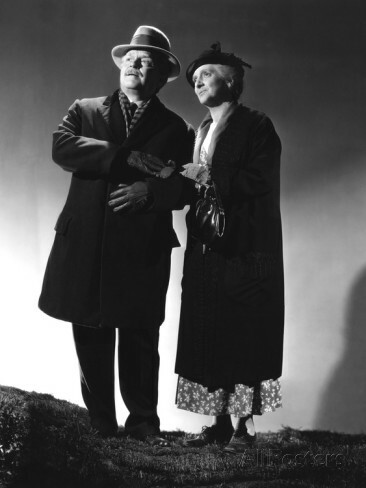 They have a few hours together, the first time they have seen each other since losing the house, and McCarey transforms the frustration and heartbreak of the rest of the movie into a love story, Bark and Lucy rediscovering and recommitting to each other. Robin Wood points out that this is done by first stripping away the children, whose farewell dinner Bark decides to skip so that he and Lucy can travel back to their brief carefree time together as newlyweds, before time and duties and habits took over. They end up at the Hotel Vogard, where they honeymooned so long ago (still standing, as if waiting for them)?drinking, reminiscing, flirting, dancing? and then as they part when Bark is boarding the train, he calls her ?Miss Breckenridge? ?Wood says McCarey has managed to unmarry them. They have gone back to a time even before the honeymoon, to their courtship. And that is where they part, not as a sad, lost old couple but a tender young one. They will probably never see each other again, but nothing can rob them of the love they share. This was written for the 31 Days of Oscar Blogathon sponsored by Aurora of?Aurora?s Gin Joint,?and Paula of?Paula?s Cinema Club,?and Kellee, of?Outspoken and Freckled. To see more entries, click?here. I first watched watched this film in my 40’s thanks to TCM. It is one of my top 10 films of all time. Yes the saddnes of the content is hard to accept. However, my many years working in nursing homes, I have seen this story many times. I think that this movie should be required in all high schools. Maybe then maybe todays children can make a change for the best. It is a truly great film, a work of great pathos and poetry. The last sequence, the magical time?that few hours when they are treated kindly by everyone and lose the numbness of the years and really rediscover each other, is absolutely stunning. But it wouldn’t mean anything if it hadn’t been preceded by all the harsh reality thath comes before it.